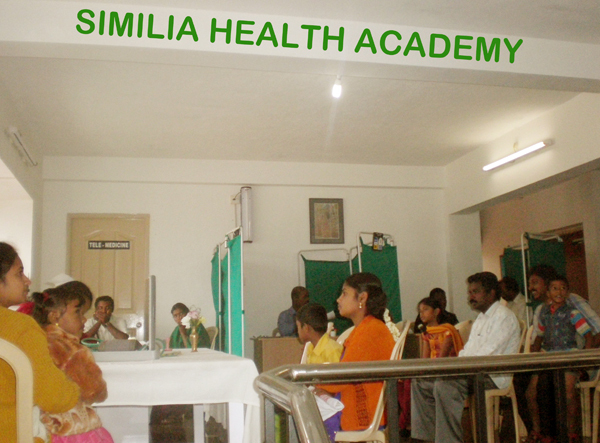 The Similia Health Academy in association with KHMS organized a free medical camp at Kodaikanal on 13.09.2009. A team of physicians Dr.Palanivel Rajan, Dr.M.Rajkumar, Dr.C.Chandran, treated the patients. 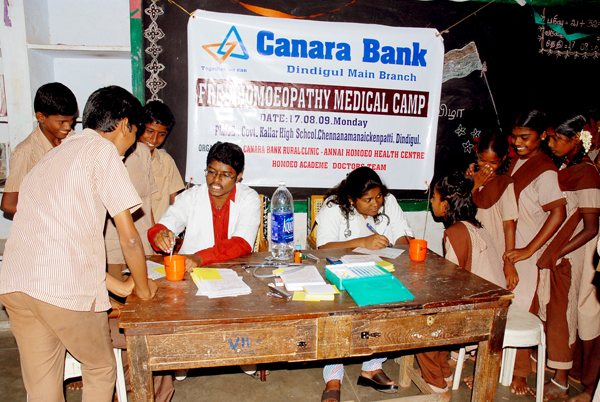 Homoeo Academe and Canara Bank organized a free medical camp on 17th August 2009 at Govt. Kallar High school, Chennamanaickenpatti near Dindigul. The doctors from Homoeo Academe Dr.Charuvahan, Dr. V. Raja, Dr. G. Prema , and Dr. Preethy Xavier treated 700 school children. 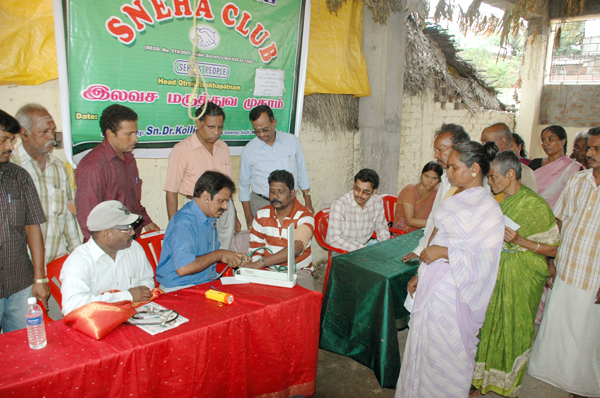 CHENNAI.SEP.2009: The public organization SNEHA organized a free Homoeopathic Medical Camp at Devi Karumariamman Temple, Tharamani. Dr.R.Gnanasambandam, Former President, Tamil Nadu Homoeopathy Medical Council inaugurated the camp and Thiru.K.S.Bhagya Rao, Asst income tax commissioner, founder president of SNEHA was special invitee. Dr.Kolli Raju, Asst Director, CRU (H) Chennai sponsored the program. Gem Pon, Kalaimani, K.Bhagyanathan, N.Rajee and Mr.Venkata Roa co-ordinated the camp. Dr.M.Afroze, Dr.T.Kasthuri, Venkateswara Homoeopathy Medical College also participated and treated 195 patients.